Our classroom is nut-free due to child allergies. Please DO NOT SEND any tree nut or peanut containing products with your child for either a classroom celebration or for a snack. I am asking your assistance in providing these students with a safe learning environment. Thank you for your cooperation. Our April reading goal is 54 steps! Students should try to read 2 steps nightly at home. Remember each step is 15 minutes. Please remember to have your child log their time. Reading: We will begin our unit in Poetry. Students will learn all aspects of Poetry including rhyme scheme and how to read and interpret poetry in a fun way. Math: We are working on Topic 15, lines and angles. Writing: In writing we are reading text sets and working on responding with well-constructed answers. Spelling has begun. There are 3 groups on a rotating schedule. The Box Top contest is under way! 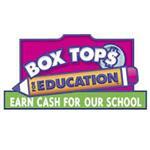 Please help support our PTN by sending in as many box tops as you can. Collection sheets can be printed from the PTN website, or you can send them in loose. A great parent-teacher relationship is necessary for a successful school year. I will communicate with you through notes (in your child's planner), telephone calls, email and/or conferences. Please check your child's planner daily for any communication related to your child or class changes. These changes will also be posted on my class page. Should you have any questions or concerns at any time, feel free to contact me via note, e-mail (tdelsontro@jacksonsd.org) or by phone (732.833.4650). I will do my best to get back to you that day. I am looking forward to getting to know every child in my class and helping each and every one of my students have a successful and fun school year. Read 2 steps (a total of 30 minutes) and get log signed. Complete math worksheet and study fast facts. This fact NEVER goes away: In order for students to be successful in the fourth grade curriculum, it is essential that they memorize their multiplication facts. This cannot be accomplished without your help. Please spend 5 minutes per night reviewing multiplication facts with flash cards. There are links to multiplication websites on my class page. For each Unit of Writing’ Workshop, students complete a Pre-on Demand writing sample at the onset of the new unit and then a Post On Demand piece upon completion of the unit. The Pre On Demand piece is a formative assessment used to identify the strengths and weaknesses of the student(s) before beginning the unit of study.The Pre On Demand sample does not count toward the student’s grade. This assessment equips the teacher with an understanding of the student(s) needs while preparing instruction to meet the needs of his(her) learners. At the end of each unit, the students will complete a Post On Demand sample which is a summative assessment counting toward the student’s performance on the unit. The teacher analyzes each piece to identify the growth the student has made since writing the first sample. Each assessment is scored on a rubric that analyzes development of ideas, organization, elaboration as well as conventions including sentence structure, punctuation, capitalization , and grammar. It is expected that the child will show growth from the onset. The rubric is scored on a scale of 1 - 4, with four being the highest score. It should be noted that the rubric used is set on a June expectation. 3= writing is on grade level and meets the expectations of the grade level. 2= writing is approaching grade level expectations. Writer’s Workshop is up and going at Switlik School! As we continue in the second marking period, grades 1- 5 will enter a new unit of writing instruction. Across the grades students will be working on an array of informational writing forms from how-to books, all about books, science lab reports, and history research topics in grades 4 and 5. Our kindergarten students will continue to work on the foundations of Writer’s Workshop program. In Writer’s Workshop, students write daily studying author's texts to see how they can strengthen their own writing techniques by following the author. Teachers work to help students develop greater writing stamina with daily writing. Our students are demonstrating great enthusiasm with Writer’s Workshop. Reading is a big part of learning, so I will ask that EVERY student participate in 100 Book Challenge. As part of their nightly homework obligation, students are required to read 2 steps or a total of 30 uninterrupted minutes. Please provide your child with a quiet place to read and an opportunity to discuss what they have read. Reading with your child is extremely important at any age and this will give you another way to communicate with them. Book talks are important and an essential part of growing as a reader and thinker. Thank you so much for your cooperation and assistance and......... HAPPY READING!! Remember to be....bucket fillers not bucket dippers! Since our desk storage space is limited, I ask that the students REFRAIN from bringing in large binders. The following is a wish list of suggested supplies to help keep student work and desk organized this year! Thank you for your assistance with getting the supplies necessary to begin the school year off right! !